Odin Kaban is a long career musician, specially in the electronic music field. During the 80’s he investigates musical technology; synthesizers, rythm composers, secuencers… and keeps evolving to reach computer music at late 90’s. The new century brings a plentiful and varied production. “Un mundo fenomenal” is his first released album, although part of his music has been available in the internet for years. During the few last years he has been interested in the use and creation of acustic instruments that provide electronic textures. He has also composed music for theatre, films, radio and has colaborated with visual artists. He is a member of the musical group Ocno. In addition, he is a known comedian and writer under the name “López”. 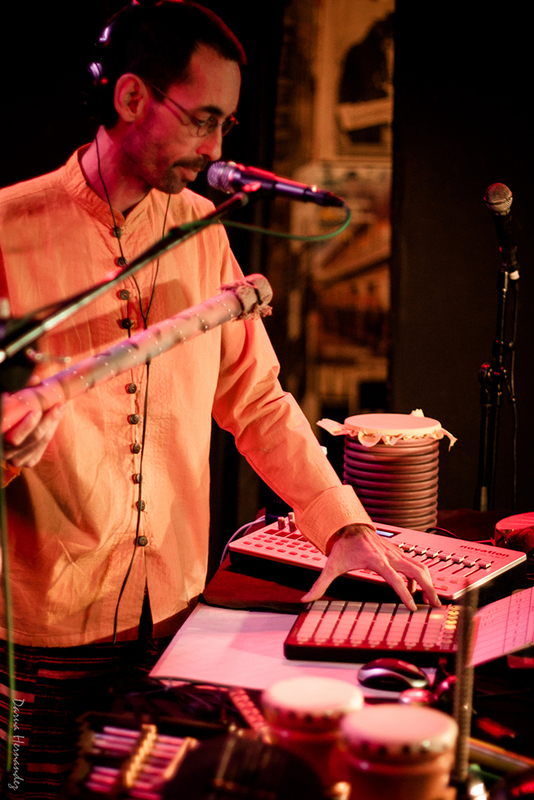 To create this track, Odin Kaban uses only two instruments made by himself. One is a drum which body is a part of a construction pipe, and a latex glove used as the head. The other is made using two similar drums, but with plastic heads, placed at both ends of a thin long steel spring, named Galactic drum. The sounds of the galactic drum are made by hitting, dragging and rubbing the spring aswell as by proyecting the voice inside one of the drums and recording inside the other drum at the opposite end of the spring. Except for equalization, no audio procesing has been used. Using a field recording of an easter proccesion passing by his balcony in Madrid, Odin Kaban overlaps the recording in several tracks, all starting at the same point but played at diferent speeds. This piece is presented as a psycomagic act. Except for equalization and speed changing, no audio procesing has been used.